This landscape-format book contains 40 pages with 74 colour photos in good quality. The text is in English only. 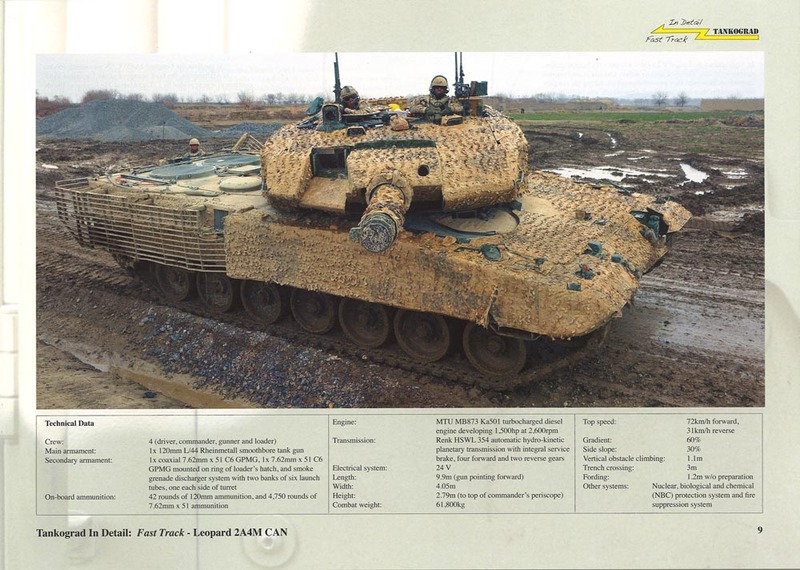 This illustrated book is a tour of Canada's latest main battle tank, focusing on its service in Afghanistan. It is strange that this is not mentioned in the title, as this tank in service in Canada is somewhat different. 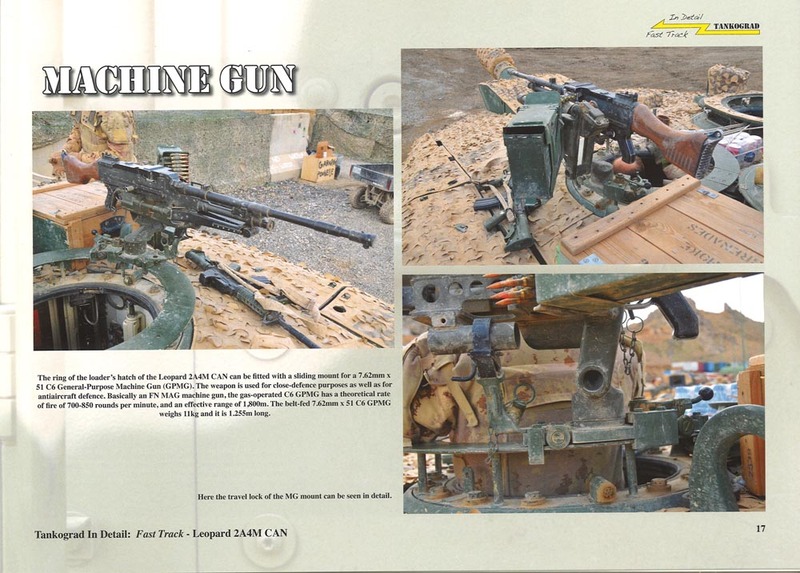 Well-known author, Carl Schulze, known for numerous publications from Tankograd Publishing, gives us a fairly detailed photo-view of the 2A4M CAN. Apart from the introduction photos, all were taken in the Afghan theatre. 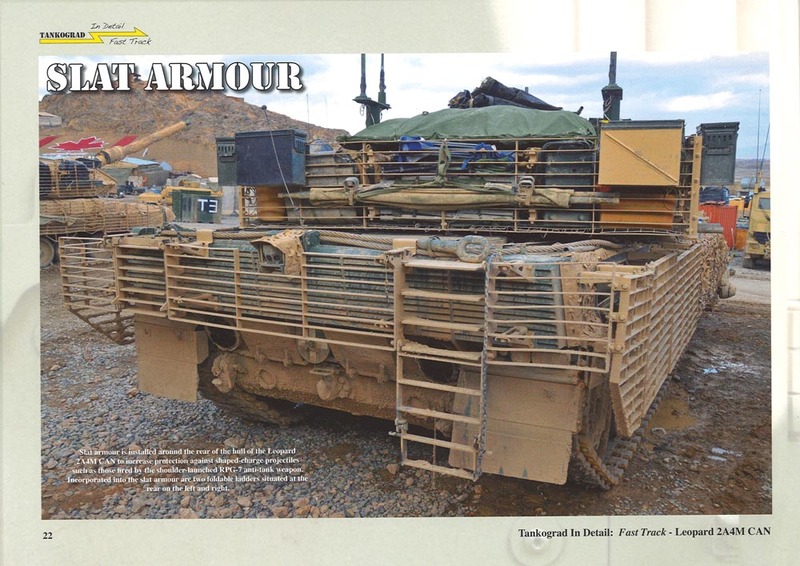 The vehicle is therefore shown wearing slat armour and Barracuda in all of the photos. 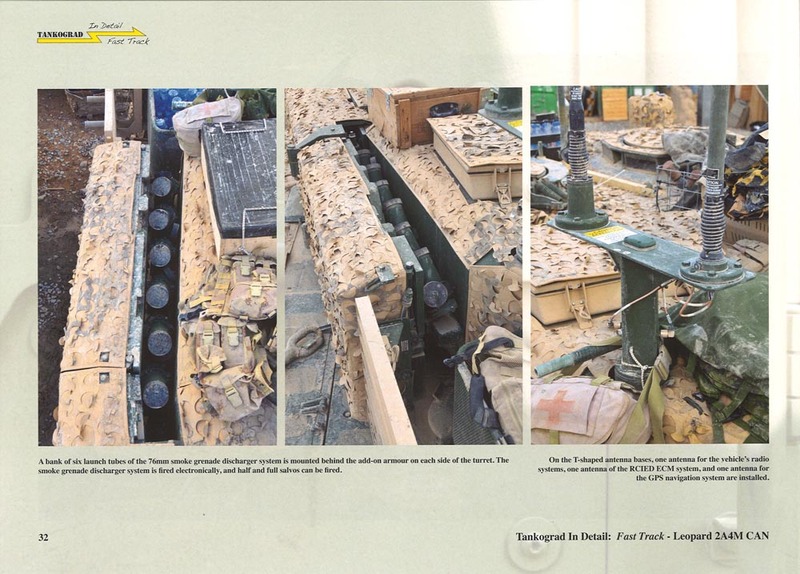 The quality photographs show, for example, the tank in the field where it quickly sustained damage to its slat armour, while others concentrate on closer shots, important for the modeller to whom this series of Fast-Track book is aimed. 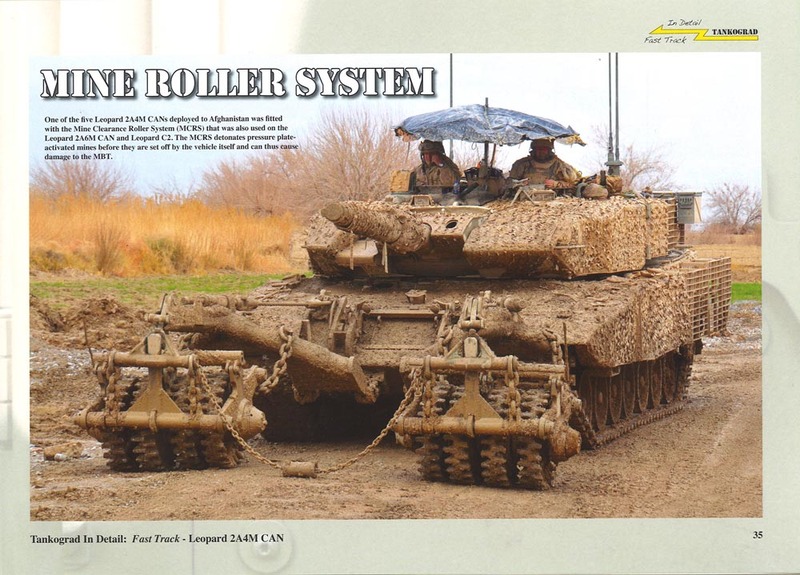 The last five pages shows the only 2A4M CAN fitted with mine rollers. Most photos are full page, with additional pages featuring between three to six smaller photos. All of the photos include short captions in English. This is a photo book of the usual quality from Tankograd Publishing. 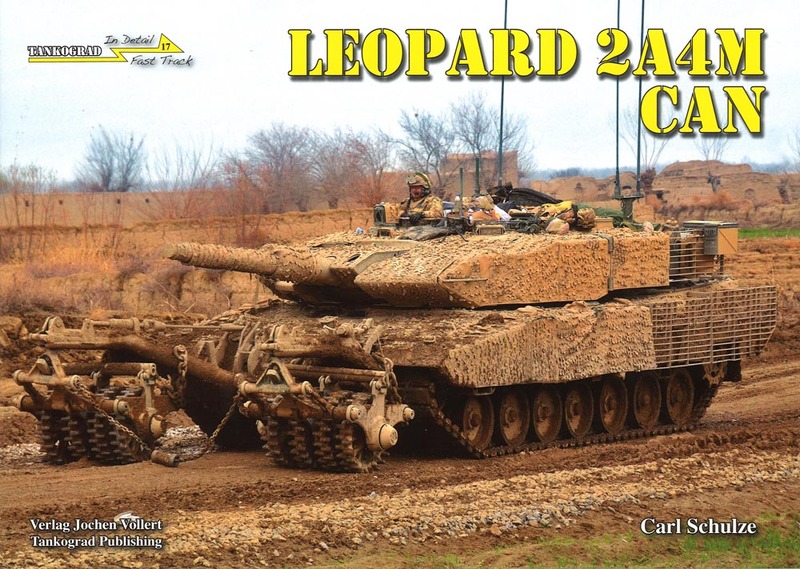 The high-quality and detailed pictures provide an insight into the Leopard 2A6M CAN in the Afghan theatre. A successful modeller's photo book, this book is worth owning! Competition to this book is provided by Trackpad Publishing with a book of the same title. Trackpad's book is more expensive, but in its 80 pages you get 250 photos. 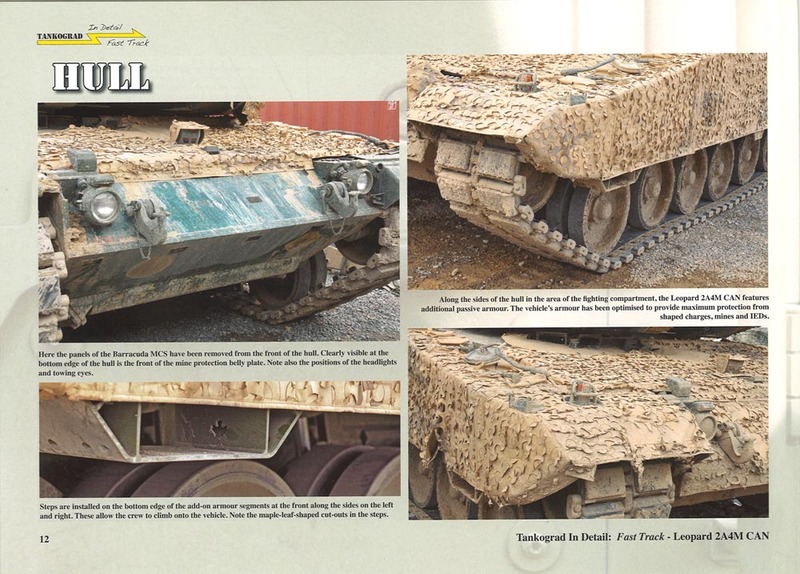 Where the Tankograd book concentrates on the tank in Afghan guise, the Trackpad book looks at the tank in service in Canada without the slats and without the Barracuda (though Afghanistan is also well covered). The Trackpad book also takes a brief look at the ordinary 2A4 in Canadian service. With the upcoming model from HobbyBoss due any time now, both books should have room on the bookshelf of any Leopard fan. In my opinion, the two books do not clash with each other, but compliment each other nicely.